As I sit here in my tuxedo with a top hat looking all dapper tasting another beer…tuxedo you say? Yes, I figured since this is the end of my journey to try a unique beer a day for 365 days, why not get all dressed up for the occasion? My wife should be appearing in her ball gown soon enough and with my three cats (yes three…and no…I’m NOT that crazy cat person) sitting besides me waiting for me to finish typing so they can rip into some ocean whitefish or tuna & egg (yum!!! ), this should be one momentous occasion. As we get ready for the pour, the fireworks start, the strippers dance seductively, and the soothing tones of Steel Panther rip through the air as they launch into ” Eatin’ Ain’t Cheatin’ “, a nice love song. Into one of my favorite pint glasses, East End Brewing Company (love the slogan on here…buy a good friend a good beer…), goes beer #365. That beer comes from the great state of Maine and is called Hugh Malone Ale 2011. 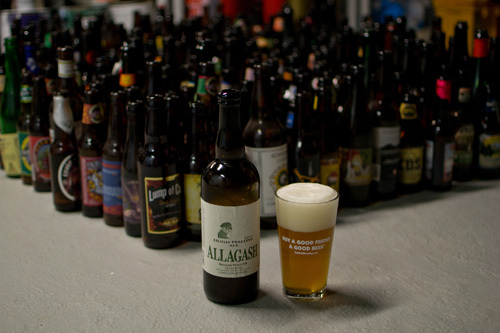 Brewed by Allagash Brewing Company in the nice city of Portland, this Belgian IPA has an ABV of 7.8%. I gaze into the glass admiring the golden color and the huge off-white head…you really have to like head done right…and this is done right. Oh yeah…it left some really nice lacing behind in the glass. I took a whiff…yum…citrus. Orange, pineapple, grapefruit (ruby red variety), and even a bit of lemon all tickled my nostrils. Add in a floral scent and that very familiar Belgian yeasty thing and there you have the nose…in a nutshell. I have to be honest, my mouth was watering and I couldn’t wait to taste it. It started with an orange rind like flavor and bitterness. I also got pineapple juice mixed with a nice bread like flavor. There was just a touch of pine here. It finished bitter and a bit dry. It had a nice medium body with quite the ample amount of tight stinging carbonation. This was quite good and as the last beer on my this long journey, it was a pleasure to drink. This is getting the KingBob stamp of approval for sure. And as the lights dim and the beer empties out of the glass, I realize that my royal quest to drink a unique beer a day for 365 days has finally come to an end. It has been quite the experience over the last year. A year filled with highs and lows and of pain and sorrow and couple that with getting in touch with my inner feminine feelings…those deep, deep down inside…wait a minute…what the hell am I talking about??? All this was really about was drinking beer…good beer (and some crap beer too) from all around the world and beyond and to that end I was successful. And now for stats…I love stats…don’t you? Stat #1 – When I started this a year ago I weighed 157 pounds. This morning I weighed 158.2. A paltry gain of 1.2 pounds…not too shabby…so much for developing a beer belly. I have to be honest, I did ride my bike quite often along with walking and staying active kept the pounds at bay. Stat #2 – The average score from the ratings was 2.86…just slightly under a B. Here is how I assigned a score – A+ = 5, A = 4, B+ = 3.5, B = 3, C = 2, D = 1, and the big fat F = 0. Stat #3 – I had beers from 22 countries and 28 different US States and from 160 different breweries. 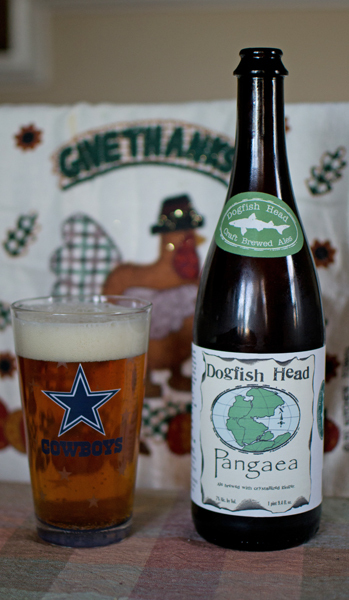 The most beers from any one brewery was from Dogfish Head with a a total of 19 beers. The most from any one State was 54 from Pennsylvania and the most from any one country excluding the USA (303) was 15 from Belgium. Stat #4 – There were 95 beers I rated B, 75 beers were rated C, 64 beers were rated B+, 48 beers were rated A, 38 beers were rated D, 26 beers I rate A+, 10 beers were rated F, and 10 didn’t receive a rating due to illness. Stat #5 – I had 331 bottles or growlers sitting in my basement…the others were either draft beers or bottles I didn’t keep for one reason or another. 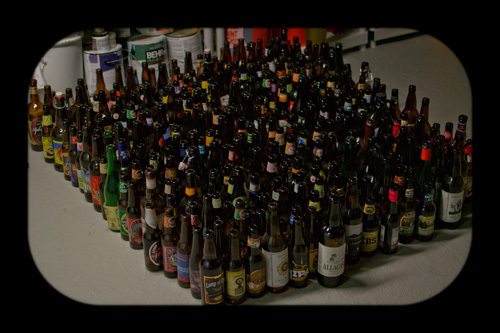 Stat #6 – I spent $1571.66 on the beers for an average price of $4.43 per beer. 11 beers were gifted to me . Stat #7 – I consumed 78 different styles of beer with IPA’s making up the most style consumed at a nice round number of 57. Stat #8 – The blog received over 130,000 hits. Stat #9 – And the last stat, although it isn’t a good one. I got sick 1 time from consuming too much beer and that was after I finished off a growler of Red & Black by Dogfish Head. That was a rough morning after. Thanks to everyone who visited and commented and put up with my, at times, nutty banter (I hope I didn’t offend anyone…that was never intended…unless you are fans of the Red Sox!!! I kid of course!!! ), thanks to my unofficial proofreader and former co-worker Ralph, thanks to my co-worker Ronaldo for the inspiration from his 365 photo project, thanks to all the other beer bloggers I drew inspiration from (Drew at http://365beers.wordpress.com/ , Scot at http://blog.twobeerdudes.com/ , Gramity at http://www.beerisseur.ca/ , Cavie at http://cavalierbeer.wordpress.com/, G-LO at http://boozedancing.wordpress.com/ ), and thanks most of all to my wife for putting up with me during the past year of beer drinking…she truly is a saint! And if I missed ya…thanks to the missed as well!!! And with that, my journey comes to an end. I truly had a great time doing this but I am also very happy it is over. I hope I was able to at least give you some inspiration to get out there and try some good craft beer. PS – I will post from time to time when I have a beer that really rocks my world. I also think I might start a blog (or just add to this one) trying to have a beer from every state in the US, after all, I only hit 28 and there are 22 other states with beer to drink! Wow…my next to last beer on this journey. Not really sure what to say next so lets get to the beer itself. 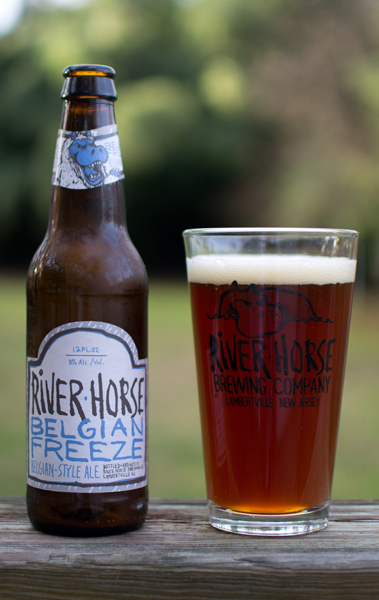 Beer #364 is Belgian Freeze by River Horse Brewing Company from Lambertville, New Jersey. This Belgian Dark Ale has an ABV of 8%. It poured a cloudy dark amber, it reminded me a lot of iced tea. The head was an off-white about one finger width in size. The nose was pretty light with cloves, a Belgian yeasty thing, banana and a bit of caramel. It had the flavors of bananas, some brown sugar, was a bit nutty, bready and decently bitter. It had a spiced (ginger snap like?) aftertaste. The body was medium, it was very well carbonated and the alcohol was hidden nicely. All in all it was an OK brew. I didn’t hate it nor did I think it was outstanding. I think I will let the Jesters in my court have this. There are far better brews I would rather drink…time to break open a Left Hand Fade To Black…yum!!! I’m sitting on my back deck out in the fresh air of a near 70 degree day in…late November??? Wait…what??? 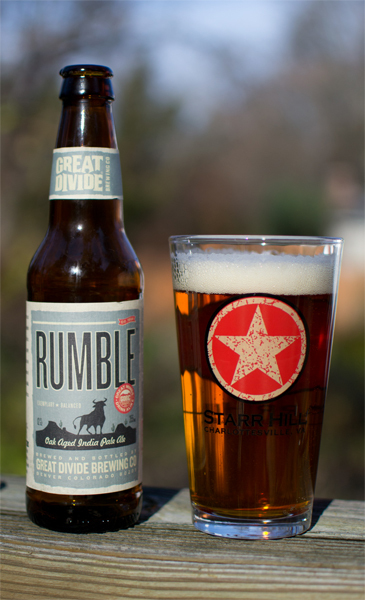 Yep…that is correct…near 70 degrees is the temperature today so I figured why not enjoy beer #363, Rumble IPA by Great Divide Brewing Company, outside. Rumble IPA is brewed in Denver, Coloroado and is an American IPA with an ABV of 7.1%. Of note here is according to the label, this is an IPA that is oak aged…I love me some oak. I broke out my Starr Hill glass for the pour. The color of Rumble was an amber with orange highlights to it. It had a nice off-white head. The nose was very light almost to the point of it not really smelling like anything…odd. If anything, I got more of a malty, caramel like aroma and maybe a bit of an herbal smell, again all of that was very faint. Where was the citrus, where was the hops??? The taste was very subdued with a bit of pine and a bit of just a tad sweet caramel malts. It had an herbal almost vegetable like flavor near the back end. Very strange. The bitterness was fairly light in the medium bodied brew and the carbonation was fairly low. I’m not sure what I was expecting here but I really didn’t get this. I didn’t get any aromas or flavors of the oak aging…none of that nice woodsy vanilla buttery smooth flavor. This wasn’t horrible…I just didn’t think it was all that good. 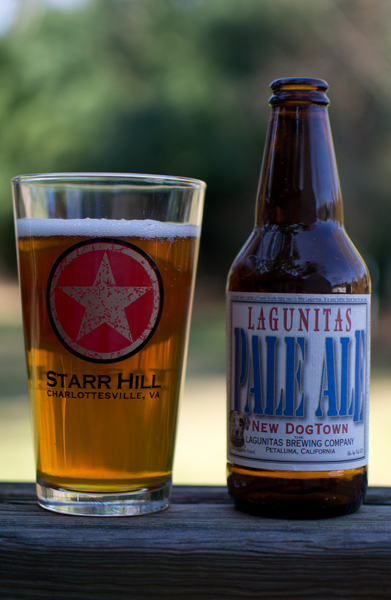 Beer #362 is New DogTown Pale Ale by Lagunitas Brewing Company. This American Pale Ale is brewed in Petaluma, California and has an ABV of 6.2%. Looks good…sporting a clear amber color with a small white head. The nose was quite fruity, citrusy and floral…nice and hoppy. Wow…quite tasty with pink grapefruit being the star here. Pineapple, a light semi-sweet caramel flavor and bread crust near the back end of this medium bodied with a moderate amount of lightly stinging carbonation make this brew an easy drinker. And that is what I needed drinking this at 10 am. Overall…a very tasty brew that I enjoyed on this fine morning. It is hard for me to believe that at this time next week, my journey will be over. It will come to an end on November 28th but until then I have, including today’s beer, 6 left. Lets get drinking!!! 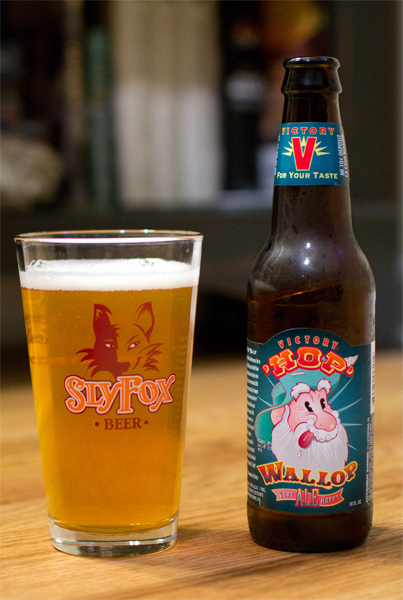 Beer #360 is Hop Wallop by Victory Brewing Company. This American Double or Imperial IPA has an ABV of 8.5% and is brewed in Downingtown, Pennsylvania. 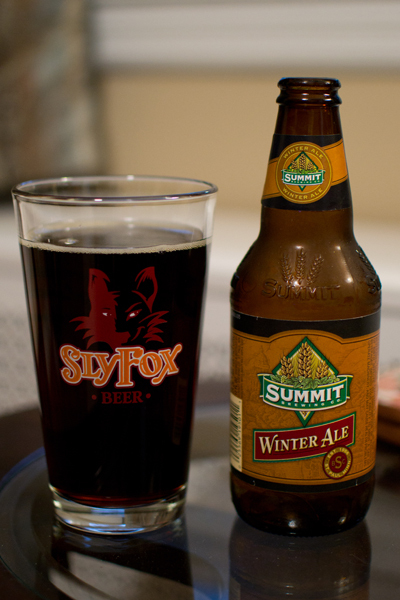 Into another Pennsylvania brewers, Sly Fox, pint glass this went. The color of this beer was a clear orange or golden amber. It had a very thin white head. The nose smelled heavy and syrupy with grapefruit and bready malts. Hops up front with grapefruit & orange peel (basically a nice citrus fruity overall flavor) and then it gets malty and sweet with caramel mostly. The body is pretty heavy, sticky & syrupy…it coats as it soothes…and the carbonation is pretty low. Nice and smooth with moderate bitterness coupled with the ABV hidden really well, makes this very drinkable. I make no bones about…IPAs and DIPAs are probably my favorite styles of beer and this didn’t disappoint. An excellent brew from Victory!